Before Sherlock: An Ancient Chinese Sleuth's Enduring Appeal : Parallels The sleuthing exploits of Judge Dee, a character based on a seventh-century Chinese official, are gripping new audiences as new generations of writers, movie directors and storytellers tell his tale and build on his legend. His stories continue to inform ordinary Chinese people's understanding of justice and law. Amateur storyteller Wang Fengchen performs his art in traditional teahouses and on the radio. His repertoire includes Judge Dee murder mysteries. Stories about Judge Dee were told orally by storytellers for centuries until they were finally collected in a novel in the 19th century. The sleuthing exploits of Judge Dee, a character based on a 7th-century Chinese official, are gripping new audiences as new generations of writers, movie directors and storytellers tell his tale and build on his legend. Judge Dee was cracking tough cases for centuries in China before Sherlock Holmes even got a clue. But perhaps more importantly, his stories continue to inform ordinary Chinese people's understanding of justice and law. One new Judge Dee tale just hit cinemas in Asia, in IMAX and 3-D. It's directed by veteran Hong Kong filmmaker Tsui Hark. "The first rule of sleuthing," Dee explains in the film "is that you need a photographic memory. "The second is that you need to closely observe people's speech and facial expressions." But unlike Holmes, Judge Dee also dabbles in the supernatural. He ventures into the spirit world in search of clues. He gleans information from dreams, and in Tsui's latest film, he battles a sea monster. It's Tsui's second Judge Dee movie in three years. "This person is a real historical figure," Tsui said at a news briefing ahead of the film's premier in Beijing. "So we wanted to see how much we could exaggerate his persona, basing the story on the historical background, while creating a heroic figure from our mind's eye." The man known in the West as Judge Dee actually served twice as prime minister during the Tang Dynasty under Empress Wu Zetian, the first woman to ever rule China. Zhang Guofeng, an expert on detective literature at People's University in Beijing, says Dee is famous for having a close but rocky relationship with the empress and for counseling her to scale back her ruthless political purges. "The empress was trying to consolidate her political power," Zhang explains. "She had many opponents. So she employed a lot of brutal officials who would extract confessions through torture and accuse people of plotting rebellions. But Judge Dee would often correct the miscarriages of justice she caused." 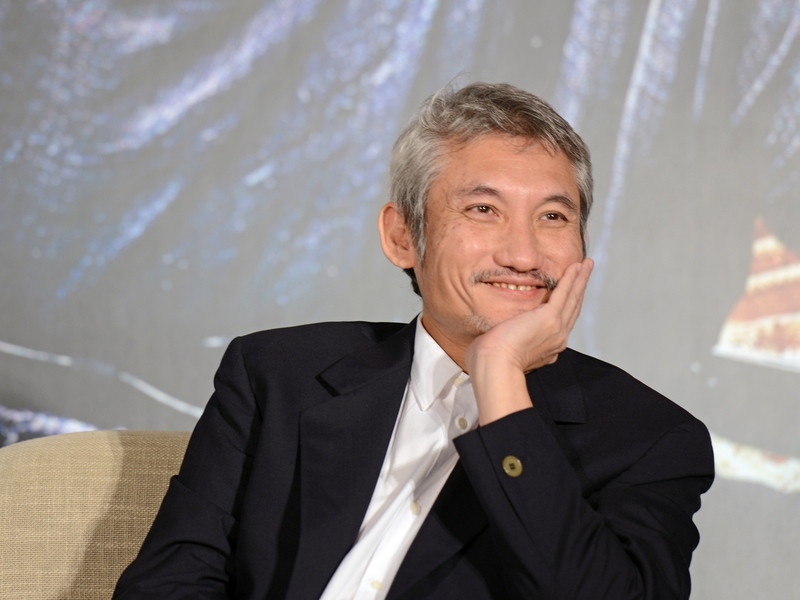 Hong Kong director Tsui Hark's latest film, Young Detective Dee: Rise of the Sea Dragon, just hit cinemas in Asia. Zhang says that stories about Judge Dee were passed down from generation to generation by oral storytellers. And they still are. Wang Fengchen is a young storyteller who performs both in traditional teahouses and on the radio. "Detective fiction is well suited to storytellers' use of narrative suspense," Wang says. "We unravel the plots just like reeling silk off a cocoon." The oral stories were not written into a novel until the 19th century. In the 1940s, a Dutch author named Robert van Gulik translated that novel into English. Zhang, the professor, cautions that as entertaining as Judge Dee stories may be, they reflect an ancient legal culture that is incompatible with modern standards of law. For example, traditionally, China never had a judiciary that was separate from the government. Judge Dee was actually a county magistrate who functioned as detective, prosecutor and judge all rolled into one. In Judge Dee's day, the justice was in the result — that is, punishing criminals — not in any idea of due process. So when Dee couldn't get his suspects to confess, it was standard procedure to torture them until they did. "The popularity of this kind of fiction shows that China still has a long way to go to get to the rule of law," Zhang argues. "The ideal of the upright official is not about relying on the law. In the end, it just represents a reliance on officials to solve problems."